Can Mandatory Depression Screening Save Lives In Montana? Ida Follette(r) and her husband Darrell Follette speaking about the suicide of their daughter Chelle Rose Follette, aged 13, at their home. Taken Feb. 2011, Poplar, MT on the Fort Peck Indian Reservation. Montana’s suicide rate is nearly double the national average. In the last two years, more than 550 Montanans killed themselves. Twenty-seven of them were adolescents. State Suicide Prevention Coordinator Karl Rosston ticks off a list of reasons for Montana’s high suicide rate: substance abuse, rural isolation and easy access to firearms to name a few. But mental illness is behind many, if not most, of the suicide cases. "Only about 10 percent of the people who are diagnosed with depression ever receive treatment," says Rosston. "Even if they do, it’s not until their late 20s or early 30s. Yet, the average onset of depression is the early teen years." Rosston, a licensed clinical social worker, is a member of a team appointed by the governor that’s studying suicide trends in Montana. This summer, it presented a comprehensive suicide mortality report to the legislature’s State Administration and Veterans Affairs Committee. State Senator Dee Brown chairs that panel. "I believe it was a super valuable contribution," Brown says. Brown, a Republican from Hungry Horse, says the report should be read by anyone concerned about Montana’s high suicide rate. Denise Juneau, Montana’s outgoing state school superintendent, agrees. "We definitely need to do more in this state," says Juneau. "We have high suicide rates, and we shouldn’t be leading in that kind of data. Schools are putting in place lots of ways to identify risk factors and then try to find [at risk] students resources." The team studying Montana’s suicide problem believes it’s developed a way to do just that. It’s recommending lawmakers next session pass a law mandating mental health screenings for school kids. The State Public Health Department’s Karl Rosston says the idea is to catch early signs of mental illness. He adds experts believe these screenings are effective ways to detect early signs of trouble in kids. "It’s often missed. Eighty-six percent of parents who lost a child to suicide didn’t even know their child was depressed," says Rosston. "Much of that has to do with, as parents, we lose our objectivity. We don’t want to think of our child as being so sad that they may be suicidal." The Suicide Mortality Review Team has issued a total of six recommendations for legislative action. One would require mandatory depression screening for all Montana school children from ages 11 to 17. "It only takes a few minutes," Rosston says. "It's a limited number of questions, and only if they answer the first couple of questions with a positive indication does the test even need to go on. It’s easy to do and doesn’t really cost anything because it’s not like you have to pay for the test. It’s out there and been used for a while now, but we just have to get more people using it." Republican State Senator Dee Brown stops short of fully endorsing the recommendation for mandatory depression screening. The retired teacher sees it as excessive government overreach. "When parents are concerned about young children," says Brown, "I think it behooves them to come to those providers in the schools and ask for their help, and that’s where it should come from." 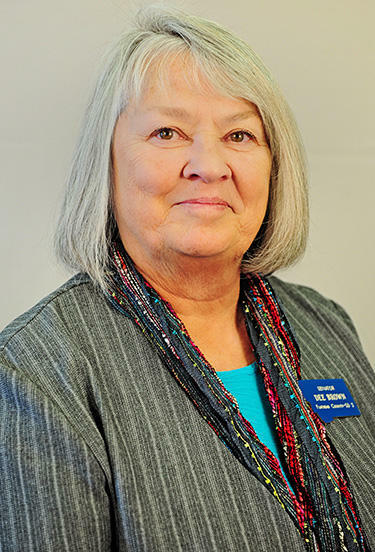 Montana’s Democratic state school superintendent Denise Juneau is also reluctant to mandate use of depression screening tests. "I don’t know – there are a lot of efforts that can be done without mandating those types of things," says Juneau. "We have strong local control. We certainly recommend and have a place on our website at the Office of Public Instruction where they can access high-quality training for their staff. And we encourage them to go there and figure that out." Some critics also assert depression screening tests are not reliable indicators of an adolescent's mental health. Montana Suicide Prevention Coordinator, Karl Rosston, says reliable clinical research proves otherwise. Rosston points out the Centers for Disease Control and Prevention, as well as the Substance Abuse and Mental Health Services Administration show depression screenings help prevent suicides. But what’s to keep computer hackers from gaining access to the results of these proposed mandatory depression screening tests which contain very personal and sensitive information? Rosston doesn’t think that’s a problem. "It’d be the same as if a child was identified by a school nurse as having high blood pressure," Rosston says. "It’s not something that’s reported out to the whole school. The same confidentiality would be there in giving them the information [and] giving them some possible interventions." No formal suicide prevention-related legislation has been drafted yet. State Senator Dee Brown says that will have to wait until after the election. Still, she’s confident it will happen and that lawmakers will hammer out ideas that could effectively address Montana’s generations-old struggle with suicide. The suicide rate in Montana is nearly twice the national average, and for years, has ranked among the highest in the U.S.
As part of the University of Montana’s Brain Initiative, internationally recognized psychiatrist and researcher Dr. John Rush will speak in Missoula on Wednesday. He’ll deliver a public lecture on why effective treatment for suicidality and depression is still elusive for so many. State lawmakers are criticizing the state health department’s plan for how to address the high suicide rate among Montana’s young Native Americans. Livingston looks forward after a high number of suicides. Livingston is still trying to come to grips with a cluster of suicides that claimed four lives almost a month ago. Experts there say different people are dealing with the crisis in different ways. Livingston residents are meeting this evening to discuss two recent student suicides at Park High School. 17-year-old Deon Gillen took his own life February 14. Another student suicide was reported less than a week later.